In 2013 a project began to renovate a farmhouse in the Dorset countryside. The aim was to blend old and new, the contemporary with traditional and the quirky with practical. The owner scoured the globe in search of items to create a design led, but homely narrative and in doing so make the house a unique home. So much enjoyment was had from finding those hidden gems, that when the build finished, the buying did not. 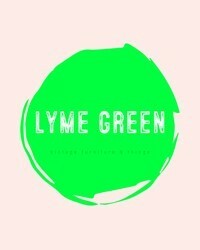 The result being Lyme Green antiques and vintage. We hope that in a small way, we can help our customers to find that perfect item for their project or redecoration. From oversized furniture for the grand barn conversion to the little oddities that just speak to us and make us laugh. LYME GREEN antiques and vintage to confirm their own terms and conditions. Consumer Contracts Regulations apply.